An article by Marc, Editor at IoT Business News.Automation has touched every part of our lives, from paying bills to buying groceries, and even filling your prescriptions. 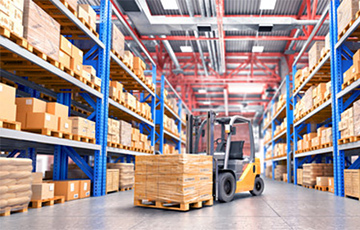 The automation revolution has also become a significant part of the fulfillment center industry and has brought supply chain operations into the 21st century by adding electronics components that allow systems and devices to be remotely managed, tracked, and monitored.By making systems able to sense, react to, and report on their environments without human touch, the efficiency of warehouse operations has never been so simple. Many components play into this, but perhaps none is more important than the Internet of Things. These days, pretty much every piece of electronics you touch is connected to the internet in some way. It used just to be computers, but now any type of device, object or equipment can be internet-ready through a wireless connection. That’s what the Internet of Things (IoT) is: by adding that internet connectivity to stuff that used to need a human present to manage, our lives become more straightforward and more efficient to operate than they ever have been in the past. In short, the “things” have become far more prevalent a presence on the internet than humans are now. The requirements to become a part of the IoT are reasonably straightforward. For starters, a device needs either sensors and software that tells it what to do when certain events occur. They also need a wireless connection to enable remote administration. Finally, the device needs enough system resources to be able to handle the volume of activity it will be tasked with managing. How does the IoT lead to fulfillment center automation? 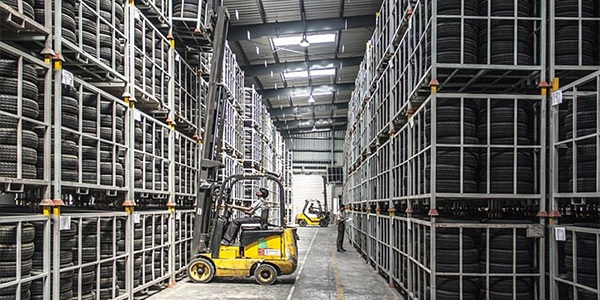 One of the longtime limiting factors in making warehouse operations internet-ready has been the simple connectivity factor. Wired networking isn’t conducive to, say, running a fleet of handheld scanning devices needed to track inventory. Only stationary devices could indeed be provided with connectivity, and that’s just as long as their presence wouldn’t obstruct normal warehouse operations. Fortunately, the high speed and broad coverage area provided by modern wireless networks have eliminated all the disadvantages of wired networks. Not only are handheld or portable inventory management tools now able to connect, but location-based applications can also track the movements of inventory as it enters, traverses, and leaves the fulfillment center. So what are some of the advantages that wireless networking and the IoT provide that allow fulfillment center automation? 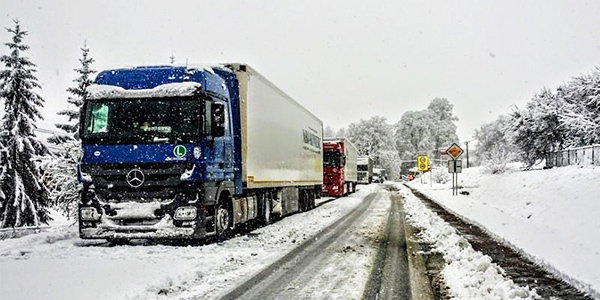 For one, the movement of inventory can be traced in real time, and automated alerts can be used to send notifications if shipments face delays due to weather, traffic, or other issues. Chain-of-custody regulations are a big deal, especially as it relates to sensitive cargo. If you’re in possession of laboratory materials like biologics, expensive items, or confidential business documents, the IoT allows the databases containing that chain-of-custody information not only to be updated automatically from the local center but protects the data from local theft or damage by moving it off-site. Many fulfillment centers integrate real-time weather data into their systems and use that data to detect conditions that could lead to delays proactively. This increases the coordination between warehouse operators and logistics providers and can be used to plot alternate routes and prepare for emergency procedures if necessary. A significant concern for centers that handle perishables like food or certain types of medication is the ability to monitor the health of the goods and preventing spoilage. Expiration dates can be captured during the intake of these goods, and automated notifications can alert staff accordingly. Perhaps most importantly, automation can be used to prevent loss of goods through theft or even simple human error. By tracking items and where they should be going, load discrepancies can be detected in real time, and potentially help the involved parties locate and recover the inventory in question. These are just a few of the many benefits the IoT and automation can provide the fulfillment center industry, but efficiency and inventory management is only a part of the equation. The big bottom line is that the traditional supply chain as it has existed for decades simply was not designed to handle today’s economy. The increased demand for high volumes of small orders for immediate delivery can easily overwhelm a traditional operation. What is a fulfillment center? The answer for any that want to be efficient and reliable in the years to come is simple: a warehouse that takes full advantage of automation.